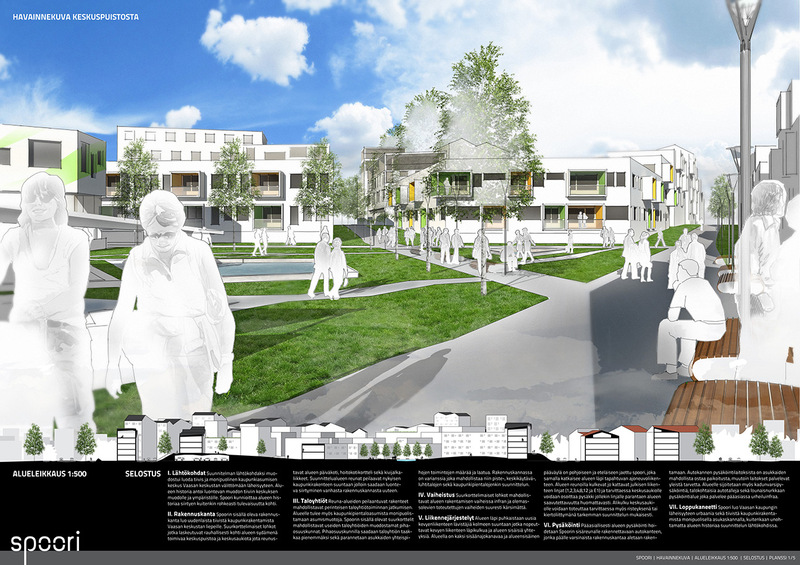 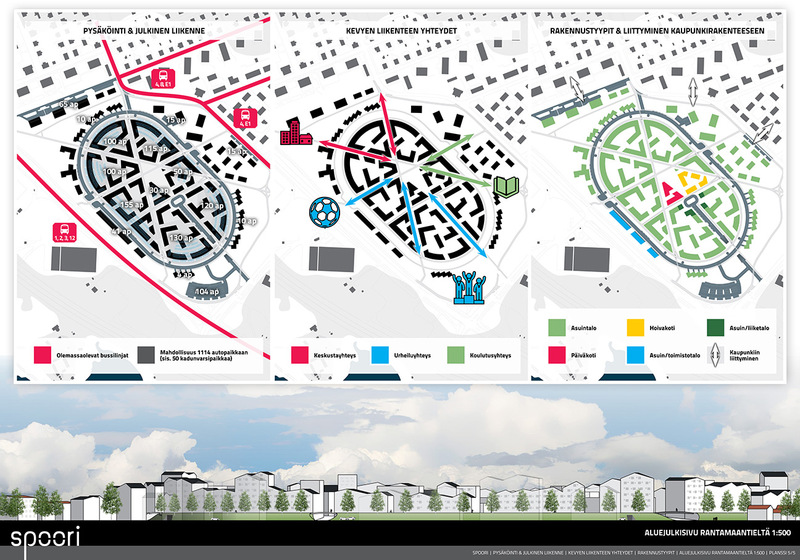 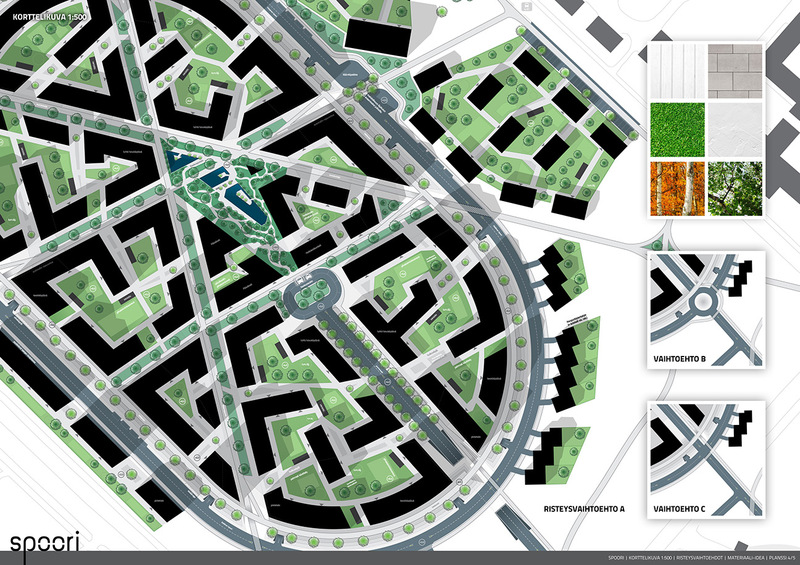 Competition entry for an urban planning contest by the city of Vaasa. 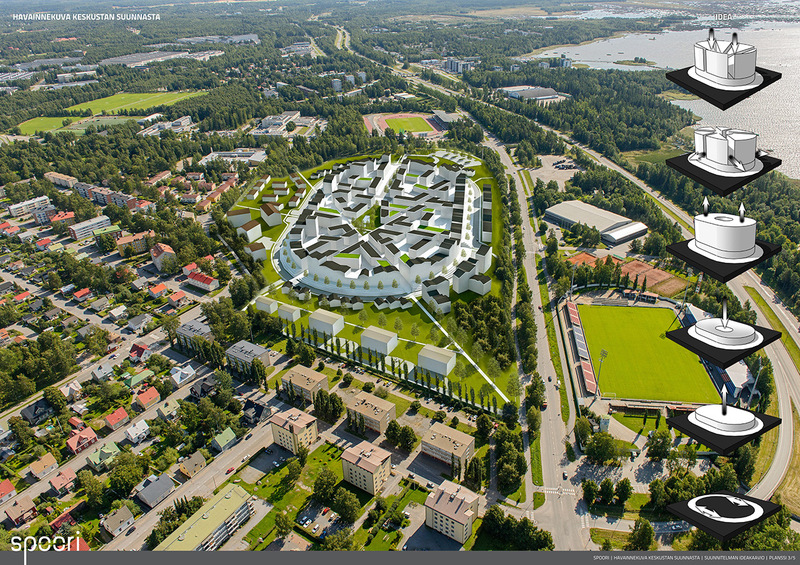 Competition area was near the centre of Vaasa and was located on top of the old horse track. 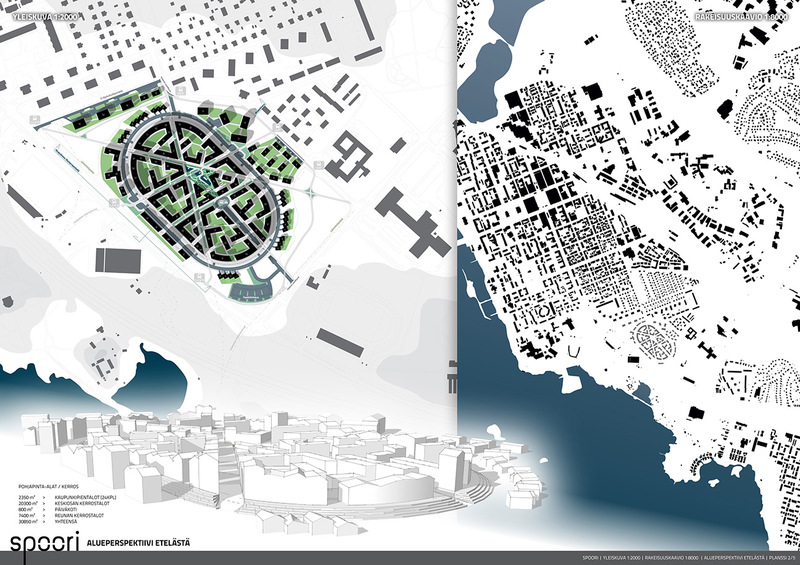 My entry focused on keeping the shape of the old horse track while opening new kinds of pedestrian routes through the area.